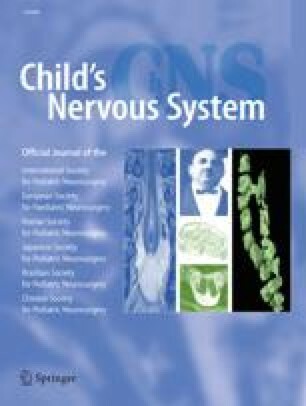 The medical literature is lacking in data regarding intracranial pressure in an animal model with concomitant vagus nerve and spinal cord stimulation. Ten pigs were anesthetized and placed in the supine position and an intracranial pressure monitor was inserted. Each study animal had a small laminectomy performed in the lumbar region and the left vagus nerve exposed within the carotid sheath. Intracranial pressure was monitored for 3 h in all animals. Eight animals at the end of 3 h of monitoring underwent vagus nerve stimulation and or spinal cord stimulation. Study and control animals had their intracranial pressure monitored for an additional 1 and 2 h respectively. Following vagus nerve stimulation, all animals had significant (p<0.05) decreases in their intracranial pressure with a lasting effect of 15–35 min (mean 18.5 min). No significant change in blood pressure was noted during stimulation of the vagus nerve. After spinal cord stimulation all animals responded with acute increases in their intracranial pressure (p<0.05). Left vagus nerve stimulation reliably decreases intracranial pressure in the pig. The mechanism of this action remains unclear and does not appear to be due to resultant bradycardia. Conversely, stimulation of the upper lumbar spinal cord increases intracranial pressure with simultaneous increases in heart rate. Following additional studies and with close observation of cerebral perfusion pressure, we believe that left vagus nerve stimulation may represent a novel adjunctive therapy for decreasing elevated intracranial pressure in posttraumatic human patients with head injuries. Additionally, according to this animal data, minimizing spinal cord stimulation should be considered in the acute setting following head injury so as to minimize iatrogenic elevation of intracranial pressure.